1. Wakaso Mubarak (GHA) 4 Goals. 1. Emmanuel Emenike (NGR) 4 Goals. First 2 to 1/4 Finals. Rest are eliminated. 1-0 Agyemang-Badu 40m ; 2-0 Asamoah 50, 2-1 Mputu 53m, 2-2 Mbokani 68m pen. 1-0 Emenike 57m, 1-1 Mweene 85m pen. 1-0 2-0 Moses 79m pen. 2-0 90m pen. 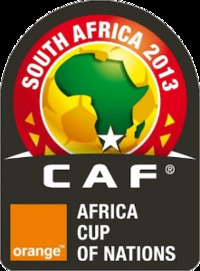 The Winner of CAN 2012, Zambia was eliminated.